Looking for a professional Property Manager to rent your property? You’re in the right place! Real Property Management is Holland Park’s leading provider of Rental Property Management services! At Real Property Management Australia we provide comprehensive, reliable, and trustworthy Holland Park Property Management Services at below market rates. When you have an investment property, you want the finest in property management to protect your investment. Whether you are a single property owner or own a portfolio of Investment properties, we’ll effectively manage properties that include single-family homes, apartments, duplexes and townhouses. Our Holland Park Residential property management company has many years of experience in property management processes to consistently meet our customers’ expectations while saving them time and money. We utilize proprietary systems to manage the entire process to ensure the highest probability of success in all facets of managing your asset. Our full-service property management services include maintenance, accounting, legal compliance, marketing, leasing, collections/evictions, inspections, and more. 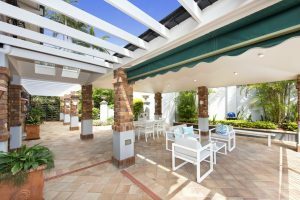 Please contact us to discuss your individual needs and discover why Real Property Management Holland Park is the leader among residential property management companies in Brisbane. Holland Park is located approximately eight kilometres from the Brisbane CBD, and is neighboured by Holland Park West, Mount Gravatt, Mount Gravatt East and Camp Hill. A popular family area, Holland Park’s many local facilities and easy access to the City and surrounding areas has ensured demand remains strong. Residents are serviced by a variety of services in Holland Park and in surrounding suburbs. Griffith University, shopping centres, schools and the Southeast Busway along the Southeast Freeway have helped to add value to the area in recent years. Although Holland Park is not on the rail line, regular bus services are available. Major supermarkets and retailers are located at Westfield Garden City, Westfield Carindale and along Old Cleveland Road in Coorparoo, as well as in local shopping centres in the suburb. The Stones Corner precinct is also nearby for bargain hunters living in the area. Public and private schools in neighbouring suburbs complement Holland Park State School, Seville Road State School and Cavendish Road State High School. C.B. Mott Park, W.J. Scott Park and Seville Park provide the majority of parkland recreation in Holland Park. Locals have access to a variety of barbeque and picnic spots and a number of walk and bikeways. Like its neighbouring suburbs, Holland Park’s central southern location will continue to drive its popularity into the future and ensure the steady growth of median house prices in the area. 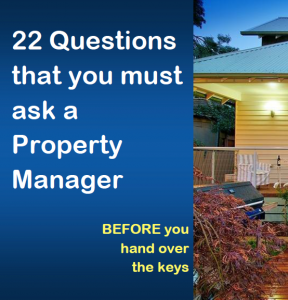 Real Property Management Australia are Holland Park Property Management specialists.